American Olympic gymnast who won two gold medals at the 2012 London Olympics and another gold at the 2016 Rio Olympics. She began learning gymnastics at the age of two and completed high school online while training for the 2012 Summer Olympics. 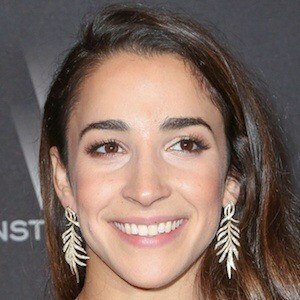 She won the gold medal for floor exercise in 2012 with an amazing 15.600 score. Her mother was a gymnast in high school. She grew up alongside her three siblings: Madison, Brett and Chloe. She dated Colton Underwood from 2016 to 2017. She shared the team gymnastics Olympic gold medal with Gabby Douglas in both 2012 and 2016.